29th June 2017 | filed under Botox. Both before and after undergoing any kind of procedure, you need to have the necessary care in order to ensure its success. The same goes for Botox. 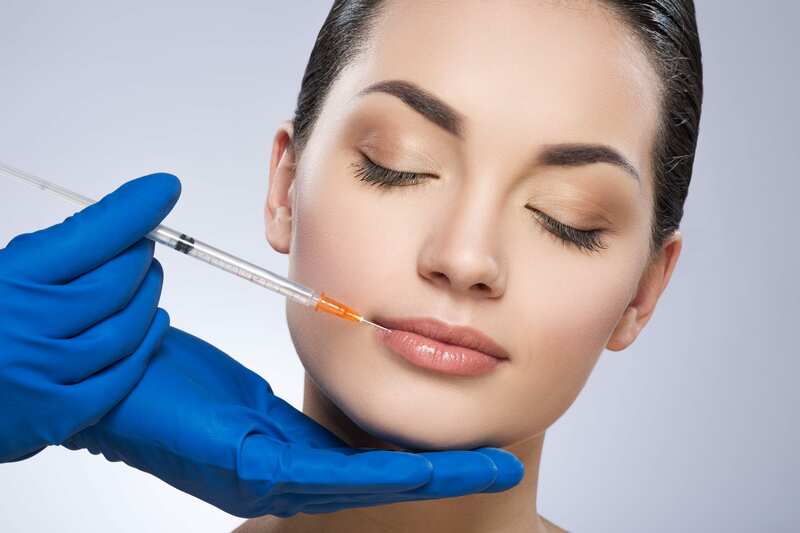 Getting Botox injections is far from major surgery; however, it’s still important that you do everything you can to help minimise the risk of infection, or any side effects and complications. There are some things that you should and shouldn’t do both before you undergo the procedure and after you’ve had it. So, which pre-treatment practices and Botox aftercare tips should you follow to ensure the success of your treatment? Your doctor will tell you everything you need to know about your treatment, so don’t hesitate to ask any questions you may have and follow the necessary care routine prescribed. However, we also understand that you may want to start preparing for your procedure by researching the necessary care routine you’re going to have to undertake! The pre-care advice is simple. It’s crucial that you don’t consume alcohol at least 24 hours before undergoing botox injections, as the substance can thin the blood and increase the possibility of bruising. You should also avoid medications like blood thinners or anti-inflammatories. Likewise, avoid shaving in the area that will receive Botox (whether with wax, laser or cream), as well as avoid products with ‘anti-aging’ substances, like retinol, glycolic acid, and alpha hydroxy acid. In addition, make sure you’re not wearing makeup on the day of the procedure and that you eat well as, otherwise, you might feel lightheaded during the treatment. Aftercare is just as important, if not more, as pre-care, so make sure you’re doing everything right by discussing it with your doctor. 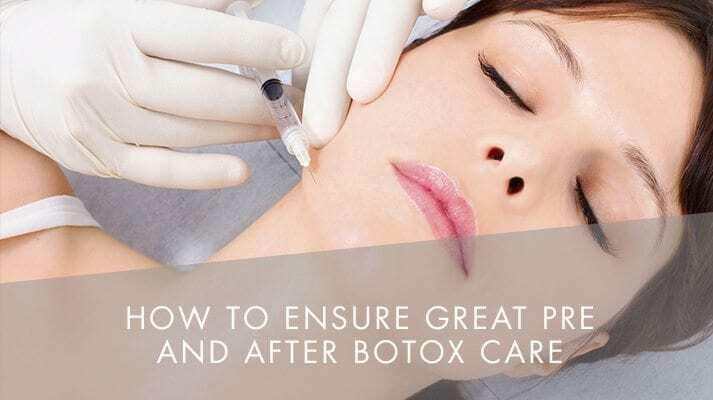 Some of the most common aftercare tips include the fact that you don’t want to touch, massage or rub the affected area in any way for at least 24 hours, so as to prevent the botox from spreading to other muscles. 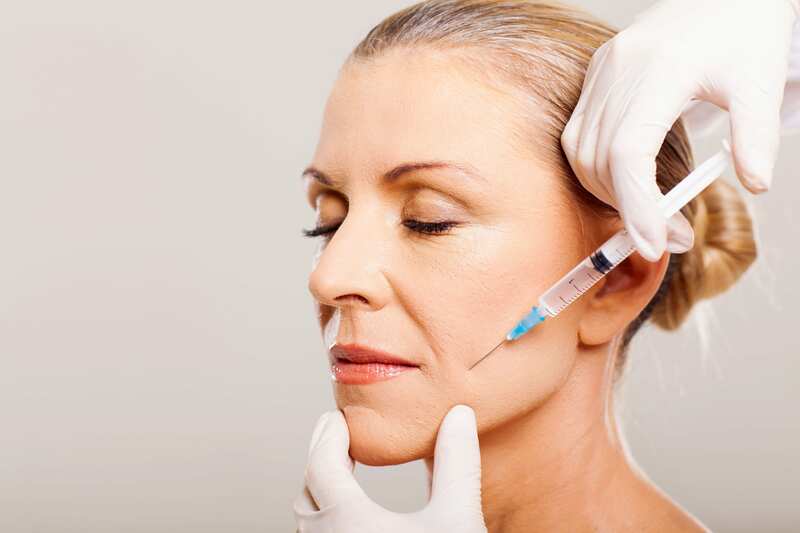 Additionally, avoid strenuous exercise or activities as well, and don’t lie down for, at least, four hours after the procedure, so that the Botox won’t move to other areas. Don’t undergo other treatments, like microdermabrasion, facials and chemical peels at least 24 hours after the procedure as well. Staying out of the sun for a while it’s also a good idea, at least until any redness or swelling has gone down. A cold pack or gel can help you to reduce swelling and minimise bruising, but it’s important to avoid pressure, even after a couple of days, to ensure the success of the botox. It’s common for the results of the treatment to take up to around two weeks to take full effect, so wait until this time has passed before assessing whether or not you’re happy with the results. We’re here for you every step of the way, so don’t hesitate to talk to a member of the team if you have any questions, whether it’s about pre-care or aftercare.